In winter, the safety of the skier is directly linked to the proper adjustment of his equipment and in particular of the ski bindings. In effect, it is important to anticipate the triggering of fixations in the event of a fall of the skier, in order to reduce the risk of injury. In addition, they allow the power transmission between the skier and his equipment in order to maximize fun and performance. A good adjustment of ski bindings is performed in two steps, first determine the adjustment position and the adjustment of the profile of the skier. Security guarantees for the skier, the ski bindings have settings overriding and determining factor for the good practice of the ski. 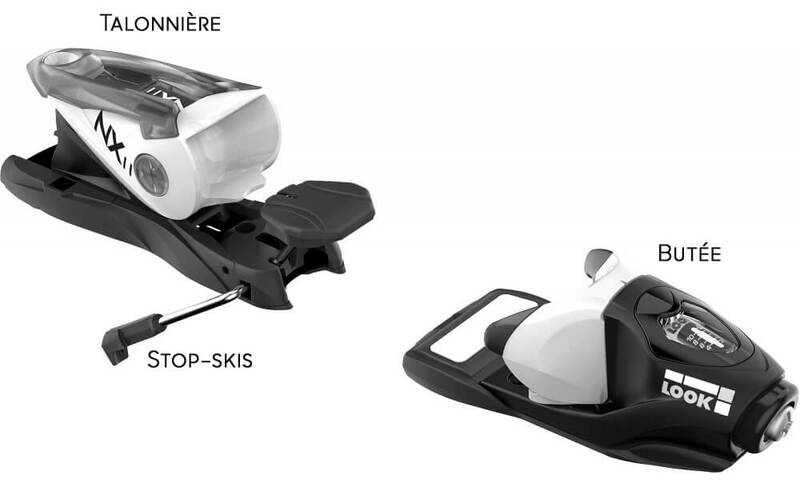 If they are synonymous of performance, the ski bindings certify also a gliding safely. Both of these have indicators to aid in the adjustment. The front part will determine the length of the outsole as well as the force trigger, while the rear part indicates compression. - practice : it determines the mounting position on the ski. A standard position database is offered by all brands, it is in the center of gravity of the ski. A position in the middle is recommended for the freestyle and a rear position for the freeride in order to increase the lift of the spatula. To adjust his ski bindings, it is necessary first of all to hire your ski boot into the stop. Then, take a screwdriver and lift the tab to release the locking system. Slide the heel piece to be in contact with the heel of the ski boot, remove the screwdriver and check that the heel piece is notched. The adjustment is correct when the ski boot snaps into place perfectly in the ski binding. - the level of the skier. A wrong setting (too low or too high) can cause a loosening too soon, or a non-heaving during the fall of the skier. The fasteners are designed to “loosen” the ski boot in a horizontal rotation, but also in the event of a fall the front and rear. This is why it is essential to adjust the hardness of the trigger in order to maximize the safety of the skier. To determine this value, it is necessary to know the age of the skier as well as its size and weight. In addition, his level of skiing will also be key to adjust the trigger because it is a synonym of frequent falls or not. In order to improve performance and ensure safety and confidence, it is necessary to set the ski bindings according to the profile of skier. Each type of practice is listed, and various changes are proposed as a function of age and level. All ski boots have a length in millimetres engraved on the heel. This length determines the position and the setting of the fastening depending on the size of the skier. Once the size is determined, it is sufficient to refer to this number on the front part of the mount. Place your shoe on the front stop and then slide the rear part of the bracket (the heel piece) until you can engage the ski boot. After you have positioned your shoe, then it is necessary to adjust the compression, that is to say the force which is located between the two parts of the fastener. At the rear is a small yellow indicator corresponding to the proper setting of the fastener. This indicator should always be visible. - 5 to 10 kg above for the practice of freeride. For every purchase of a pack to ski on our site, we offer the mounting of the ski. Indeed, at the time of purchase, a pop-up opens to give us the information about your skiing.